Mobile Teleinformation Node (MTN) is a solution supporting operational capabilities of integrated battlefield command and imagining systems (C4ISR). MTN is an IT hardware platform based on modular structure, intended to operation in network centric environment, according to NNEC concept (NATO Network Enabled Capability). The MTN`s main task is to provide modern IT services (fast data transfer), including development of military network in IP technology. MTN is a hardware platform which provides implementation of BMS system, enabling automation of command process and creation of situational awareness, including COP (common operating picture). The platform can operate either as a fixed or mobile command post. MTN ensures cooperation with military IT systems used by Polish Armed Force and can be customized to operation in any modern IT system FEATURES implemented in allied military structures. 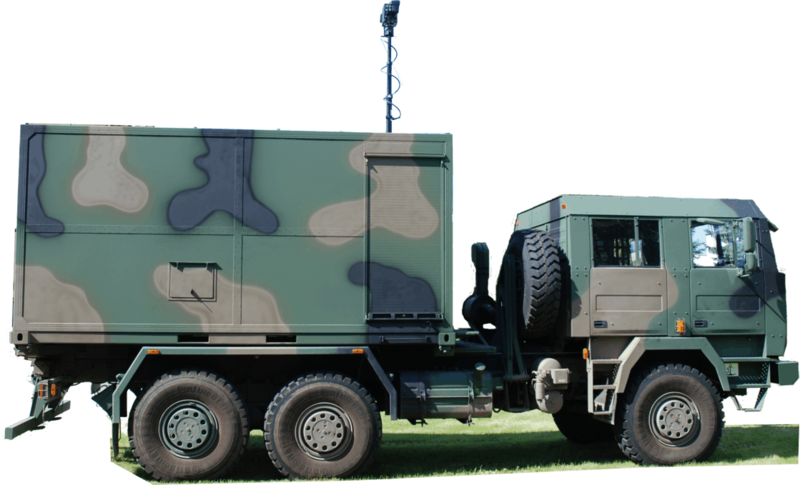 MTN`s hardware is placed in a customized EMC tempest cabin (certified up to Secret level) sited on a high-mobility military truck. The platform can work both, when stationary and on the move. MTN consists of first-class technological solutions divided into specialized modules (communication module, cryptographic module, GUU encryption module). All modules and devices meet the requirements of the applicable norms and standards in order to enable interoperability with the widest range of various systems. Military Communication Works No 2 Joint Stock Company (Leader of group ), WB Electronics Joint Stock Company & KenBIT Sp. J.